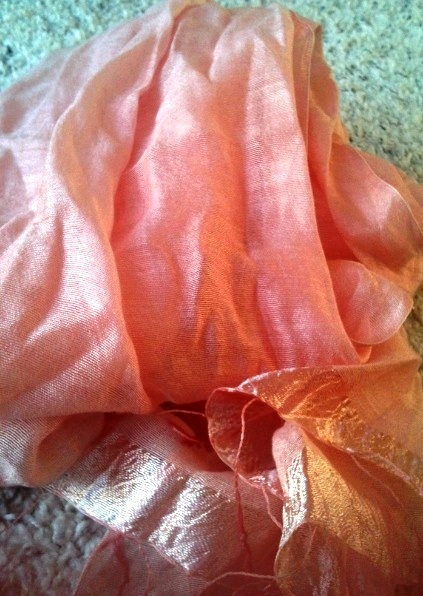 I was recently sent two lovely scarves to review from mymodefa.com, a US based store specialising in hijabs and accessories. 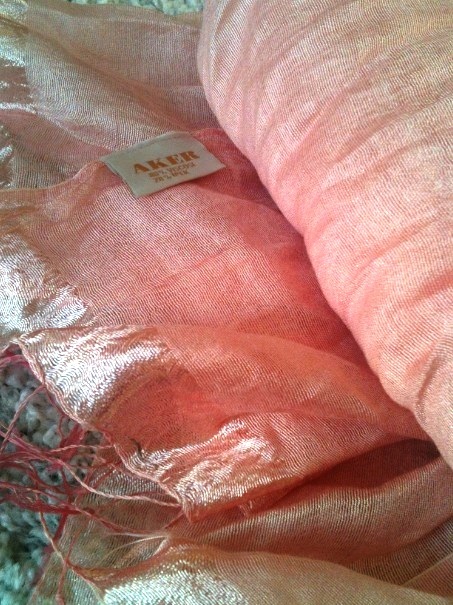 Both of the scarves were from the Turkish "Aker" range. The first thing that I noticed was the beautiful packaging of the scarves. I think that attention to these details really sets a store apart from others, especially with so much competition these days. I really wanted to show you guys the wrapping of the scarves but my mum accidentally recycled the card before I could take some snaps, sorry! Anyway, here are the scarves. You can find the pink one here. It currently retails at $27.50 - not bad for an Aker scarf, although it is very thin and therefore would need to be worn with an underscarf if you want more coverage. 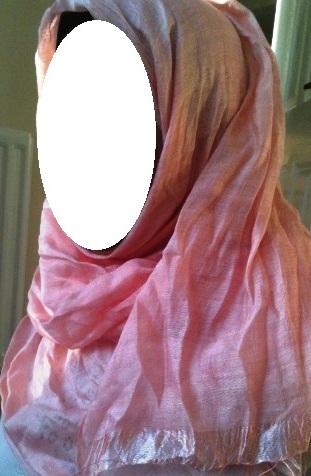 I really like the dusty pink colour and the boarder of the scarf, it's very summery. 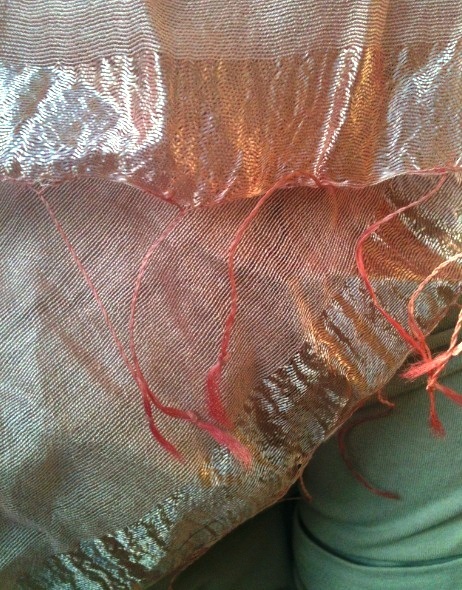 The silk scarf is not big but it is big enough to wear in a shayla style if you don't like the common Turkish style. You can find it here. 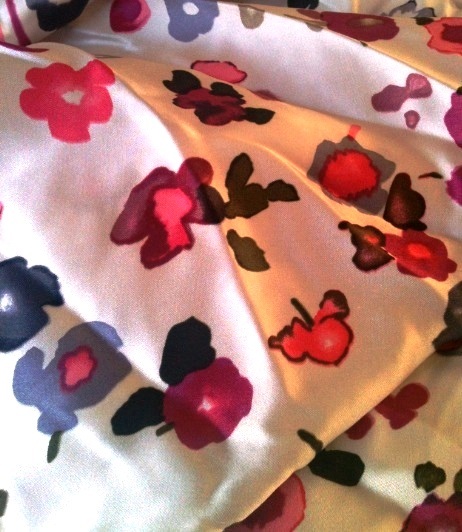 It retails are $49.99 (down from $54.99), I think this is a little pricey, although it is 100% silk. 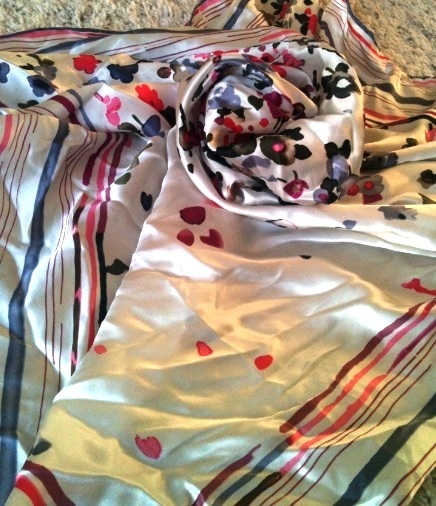 I adore the combination of the ditsy flowers with the stripes, too cute! There is currently a sale doing on at Modefa so definitely go check them out. 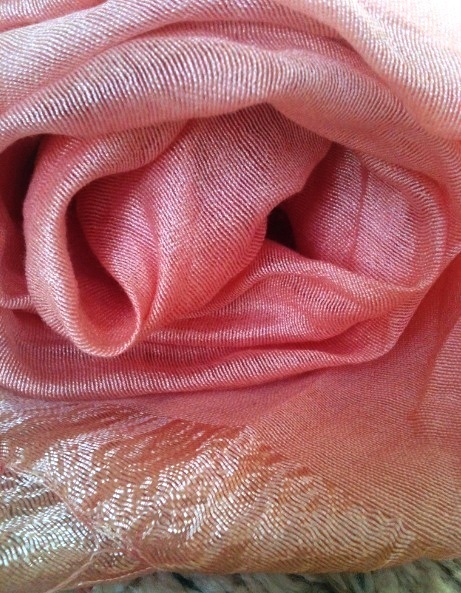 Also, SM readers can get an extra 10% of the Spring 2012 silk scarves by using the code "ramadan12". 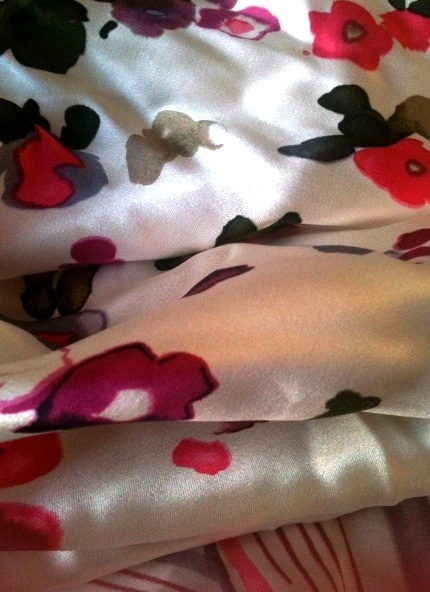 Love Silk, it feels sooo soft and nice. asalaamu alaikum...nice scarves sister...but you should kinda be more careful with them...silk isnt like polyester...it WILL outlast any polyester or cotton scarf by a mile but you need to iron them and keep them hung up, or in a little storage box for longevity, also dont use safety pins but use straight pins (quilting pins)...you can also starch them lightly...but the nice thing about the Aker scarves compared to some other Turkish silk scarf brands is they are already kind of stiff so are much easier to form and wear. Perhaps try to wear them in a more traditional square scarf manner, like Turkish or Lebanese style...I normally wear mine Lebanese style...I did a similar review of them over at Old School Hejabi so maybe take a peep as I thoughly went over their usability as far as silk squares go. 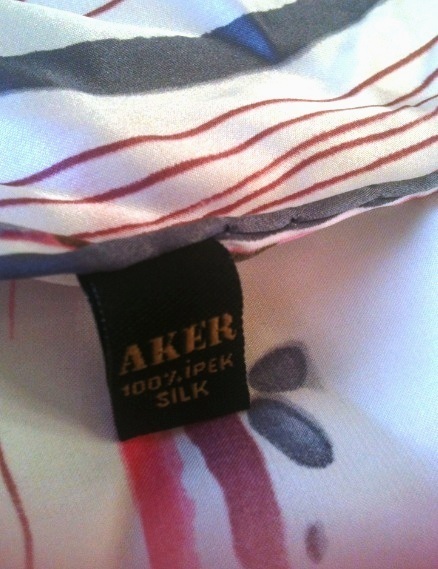 Personally if I buy other silks in the future...I will choose Aker as I find them the nicest...Karaca and the others are good too, but Aker is indeed tops. Umm Ibrahim: Thabks for the tips :) I definitely need to iron it lol! Sure...no problems...if you dont mind...lemme add a few more tidbits about the aker scarves...like for the square silks they are stain resistant...if you drop water on it, or tea, coffee, oil, whatever it will bead and fall off...thats a really nice boon as other Turkish silk scarves will absorb water-so you can wear them in wet weather without an worries. Also, all Turkish silk squares are 36x36inches which is small compared to Arab type scarves but its big enough to achieve several chest covering, modest styles...you dont have to do the stereotypical Turkish style if you dont want. Also one thing which surprised me about the Akers was they embed them with a very light, fresh scent which is a nice touch. They are really worth the price as they are more durable-in general all silk is more durable than the polyester or cottons and they do look very nice and gorgeous, they will last and repay themselves well over. personally I do like the aker ones now that ive tried...i have karaca ones but find they are floppier and I have to always spritz them with hairspray around the face area to keep them stiff...the Aker ones are stiffer and shape almost instantly...which is a perk. Anyay, after you iron it...do try it. Put on a good sturdy underscarf, and wear it like a square, in the style you like...you may find it to be quite enjoyable...also you'll notice a lighter feel on your scalp, less weight and more air flow...mash'Allah. Why didn't you iron them before taking the pictures??? :) No time, in a rush? Salaam. I have an off-topic question about Brixton. I know someone who visited England for the first time. They got on a bus and mistakenly got dropped off at Brixton. Nothing happened to this person, but he said that he tried to leave quickly because "it was a bad neighborhood". I got really pissed off at this comment because this is usually what whites say when they're in a neighborhood with a lot of young blacks or other dark-skinned people. To them this makes a neighborhood automatically bad, despite the fact that they don't know anything about the neighborhood. I read abt Brixton a little bit, and seems like there is some gang activity there, but I don't think this person actually saw any of that. So my question to you is, is Brixton really that bad? Salaam: Yep, Brixton is in south London and it's pretty well known as a rough area with higher than average crime rates. Don't blame your friend to be honest. 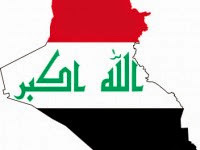 Salam. They are cute thanks for puting them up! I looove the floral pattern..
Because humans were not created to live in single-gender cities. It is unnatural and quite disturbing that some Muslims would go to these lengths to separate the sexes. I think you're misunderstanding this whole thing. This idea was proposed by Saudi businesswomen as a possible solution to the country's gender gap in employment. There's no "shadow group" of men hoping to separate Muslim women from the rest of society. And it's an "industrial city", probably no different from how every big city has "industrial districts" or "financial districts", except that this is a huge district and exclusive to women; from the bottom to the top, alhamdulillah. It's also being built close to a large residential area, making it easier for the women to commute back and forth from work. These women aren't expected to live and die in this city; they'll be free to move around as the please, insha'Allah. As an economist in-training, I'm very excited about this. There is a lot of data over the last 3 decades that shows women tend to be more efficient at running businesses than men, by a margin of about 2%-3%. Just think of how much we can learn from the women in this city, insha'Allah. Give it a chance, I think this very good news. I also believe you'll see huge demand for projects like this from Muslim women outside of the Gulf. Salaam: Hm, I think I may have misunderstood that actually - but then again I read the story in the Daily Mail and they hate Muslims. But from they way you've explained it I guess it does sound like a pretty good idea. Going to see it would be awesome, do you know whereabouts it's being built? "Planners chose the city of Hofuf because it is located near residential neighborhoods, making it easy for women to commute back and forth from the city." Ramadan is going well, alhamdulillah, but we've had 100+ degree heat every day for the last week, and that made things really difficult. I hope Ramadan is going well for u and ur family also. Salaam. 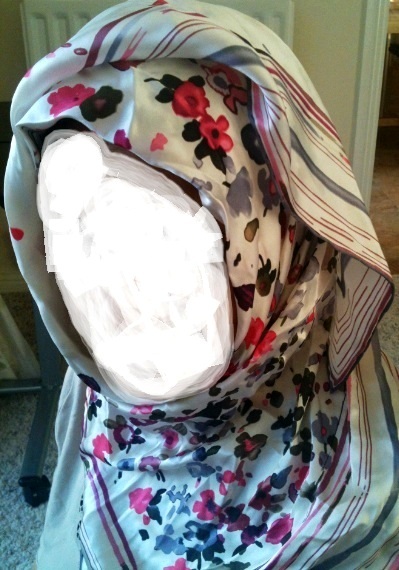 your blog is very helpful about my hijab decision. But i have a question do you take off your hijab when you're at school. 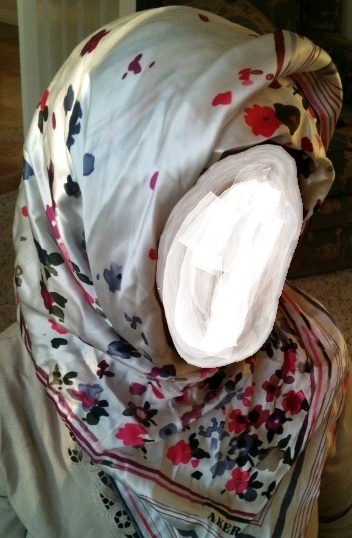 Because i live in france and the hijab (relegious signs) are not allowed at school. Remember the Hadith abt one of the signs of Judgement Day; "There will be one man to look after 50 women."